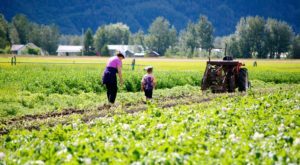 Alaska is a state known for its adventures! 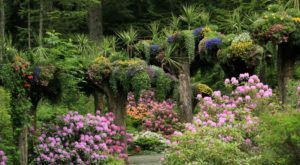 No matter where you’re headed, be it up north to experience the Arctic Circle, or down in the southeast to visit some of the most gorgeous evergreens in the country, you will find something adventurous to do! We live in the Last Frontier because we love it, and because it truly is the place for adventure. 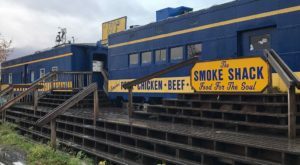 This little place on the coast in Ketchikan checks many of your boxes for a thrill! 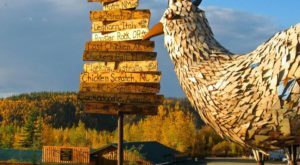 If you're looking for Alaska adventure, look no further! 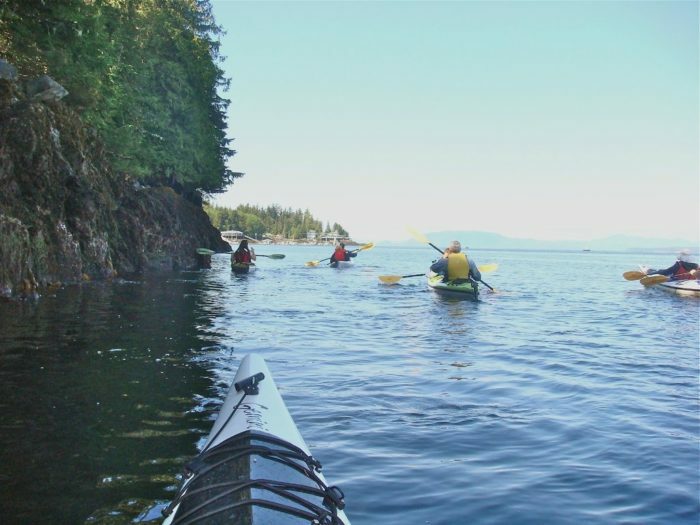 Southeast Exposure Outdoor Adventure in Ketchikan has adventure and thrills in spades! 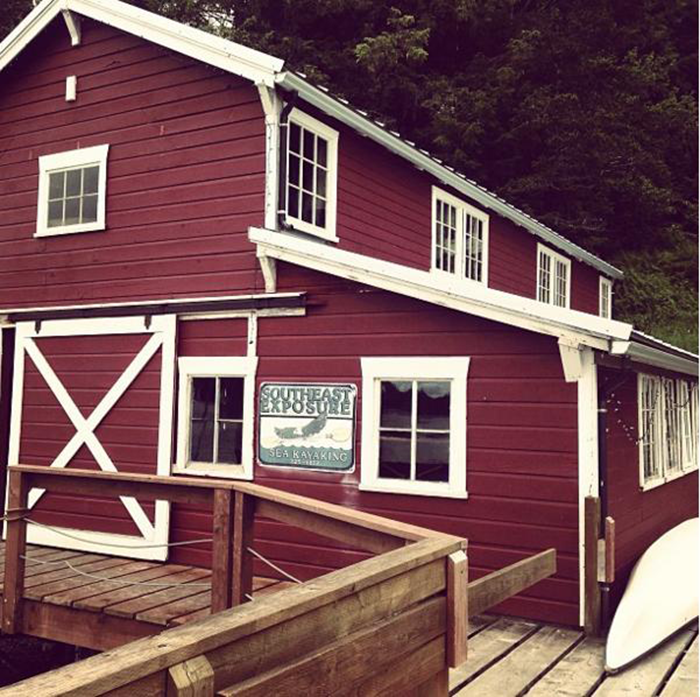 This very cool little enterprise is located a 25 minute drive from downtown Ketchikan. 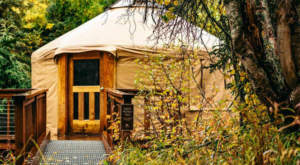 This makes it perfect for those wanting to really feel like they're off the beaten track! 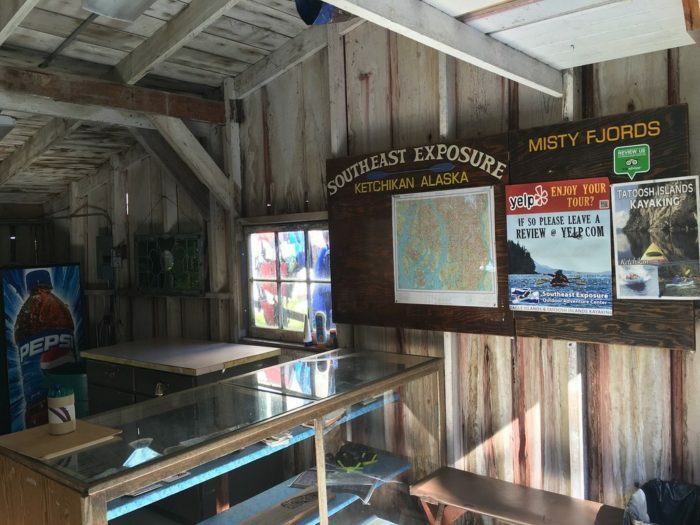 Located in Knudson Cove, this adventure center is right in the middle of Tongass National Forest. 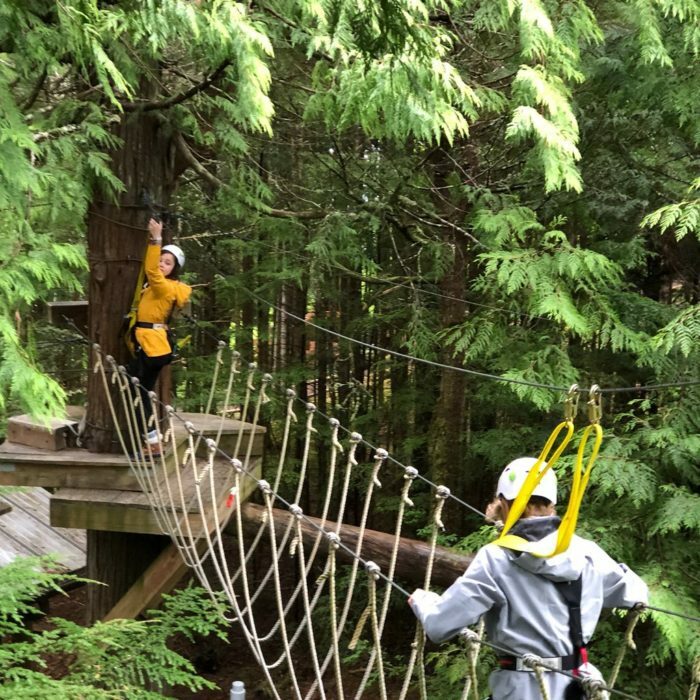 The zipline courses offers eight different ziplines. 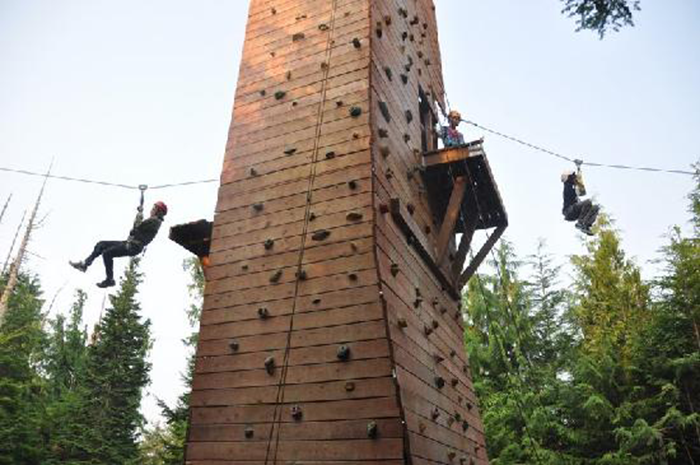 It also has eight different types of aerial traverses, for you to test your mettle on! They even have a zipline that sends you down to their ocean platform, zooming to land almost 50 feet above the water! The ziplines, while hidden inside the forest, actually give you great views of the ocean! The property lines the oceanfront, as they also have kayak and boat tours to offer! 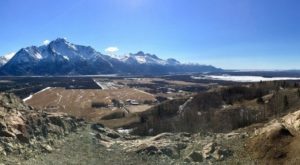 You can see a lot of diverse Alaska wildlife from the tops of the trees. The lines are strung from old growth cedars, and must climb from perches named "Eagle's Nest Platform," and make your way across swaying logs. You will be strapped in appropriately, but this is not for the faint of heart! They even have an impressive 50 foot tall climbing tower! The guides can show you the best way to climb to the top. If that's not quite your thing, there is a circular staircase inside the tower, so others can walk up to the top to take in the majestic views, and snap a couple of photos! 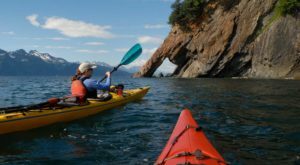 They also have a well developed fleet of kayaks for use on guided tours, or to rent. You can take these beauties all around the surrounding islands to visit with the marine wildlife. If motorized is more your style, they even have Zodiac Boat Tours available! You can find all of these adventures, plus more at Southeast Exposure Outdoor Adventure Center! With bike rentals, tours, and excursions, there's something to love here for each member of your group. 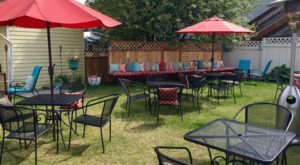 You can find out more by visiting them at 37 Potter Road, Ketchikan, Alaska 99901. 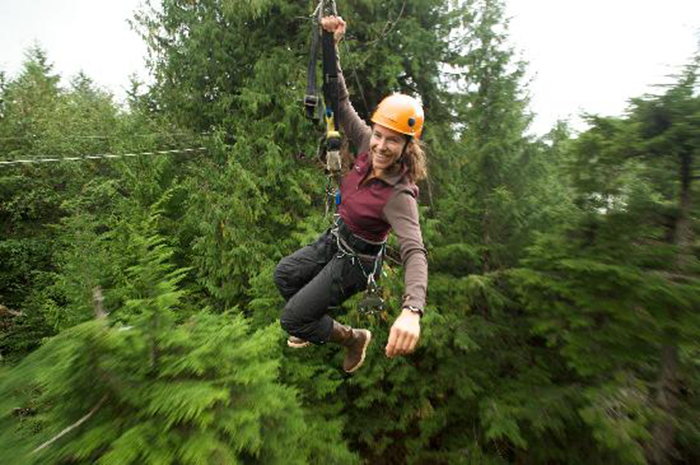 Have you ever checked out this awesome zipline adventure? 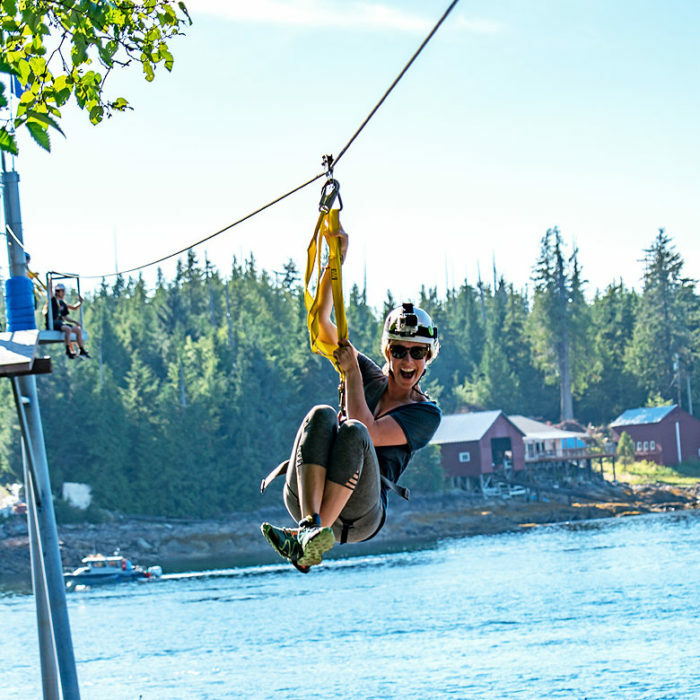 Do you have a favorite zipline adventure in Alaska? Let us know in the comments below!